ONLINE REGISTRATION IS NOW CLOSED. IF YOU WOULD LIKE TO ATTEND, CALL THE OFFICE BEFORE 2PM WITH YOUR CREDIT CARD IN HAND. THANK YOU! 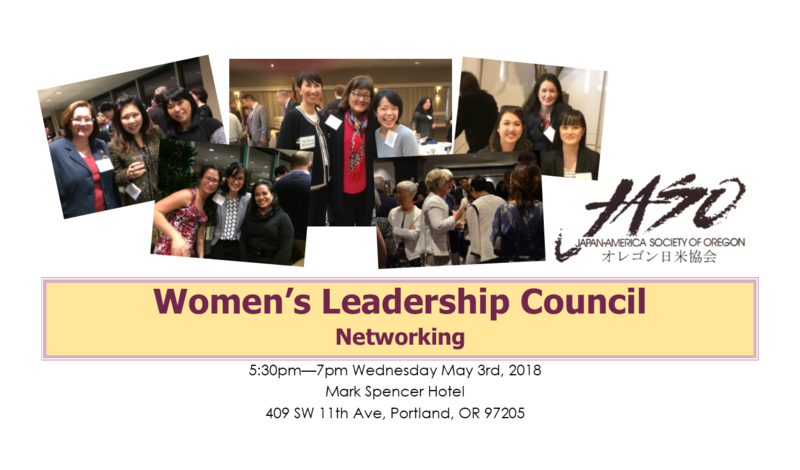 Join us for a glass of wine and delicious sushi from Bamboo Sushi as we host our first Women’s Leadership Council networking event. We enjoyed a great luncheon in January, but this event is built just so that we can talk and get to know each other better. Members and non-members both welcome. Our gracious hosts at the Mark Spencer Hotel will help us enjoy and have fun. If you’re interested in JASO’s Women’s Leadership Council, please come join us if you can. We’re very much looking forward to meeting and getting to know you in a relaxed, casual event.